Congratulations to Mina Rohani (PhD, 2014), who is one of three winners of the SERVSIG Best Dissertation Award in Service Research. She’s the first marketing graduate from Quebec to have achieved this honour and won it for her thesis entitled When Questions Change Customer Revenge Responses: Studying the Effects of Form and Content of Questionnaires over Time. Her thesis director is Professor Yany Grégoire , who holds the Chair in Service Marketing and Customer Experience. The prestigious international prize was handed out during the annual SERVSIG conference, held this year in The Netherlands. Consumer revenge can be very costly for firms, and create serious harm to their reputation. This extreme response can also affect consumers’ health and well-being. As a result, consumer revenge has received increasing attention in the marketing literature. In her thesis, Mina Rohani looks at the effect that time has on reducing consumer revenge and eliciting more conciliatory responses. While past studies have evaluated the efforts of companies that offered apologies or compensation, Mina Rohani’s research suggests that a well-crafted questionnaire can be used to help those consumers who feel a lack of loyalty. The research lays out a low-cost and practical solution for managers to reduce consumer revenge and elicit reconciliation. 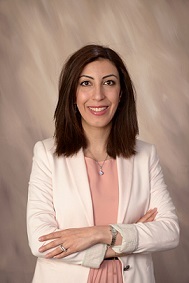 Mina Rohani completed her PhD at HEC Montréal in Sept. 2014. Her fields of interest are service marketing, as well as behaviour, consumer revenge and apology. Her study has been presented at several prestigious marketing conferences, including Service Frontiers (2015 and 2012), American Marketing Association Conference (2015 and 2013), Association for Consumer Research (2013), Advertising and Consumer Psychology Conference (2013), La Londe Conference (2012).